I have been away from the blog for a while – busy with the holidays. But part of that process included collecting so many ideas for my Donation Art. 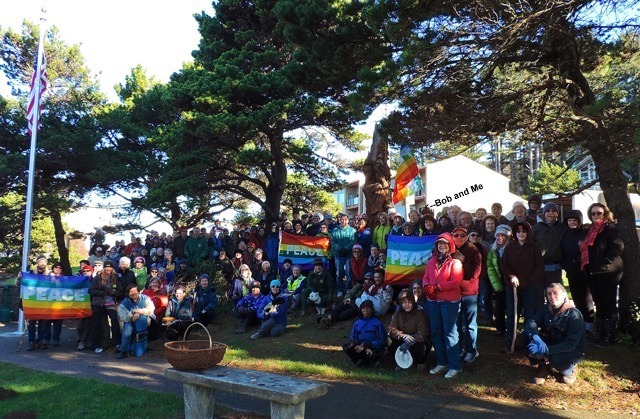 One result was incomparable and resulted from our participation in the annual Yachats Peace Hike. Her presence reminds us of the need for us to stop injustices and to start caring for each other without concern about color, race or creed. 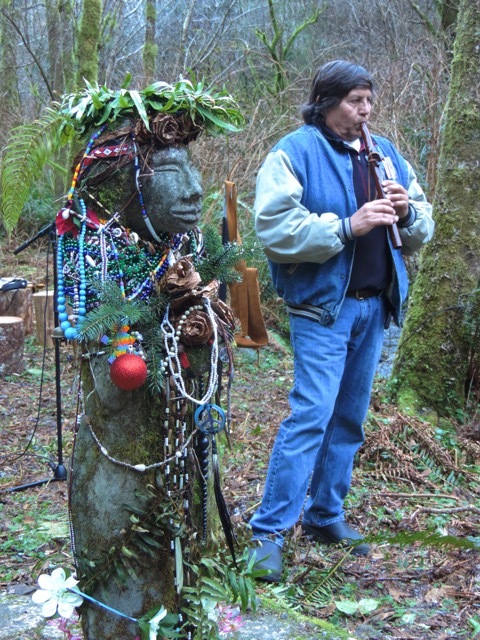 I was lucky enough to hike along with Mary-Beth Nickel, who is one of the flutist that plays at the ceremony. Elder Doc Slyter and tribal flutist (pictured above) is the other one. Mary-Beth did the 6 mile hike without shoes to commemorate Amanda, in spite of the freezing cold weather. But unusual and unexplained things seem to happen every year during this hike, and it did this year, too, as Mary-Beth and I observed. We are collaborating on an artistic endeavor to share that with you.